My first option is ALWAYS mountain biking. 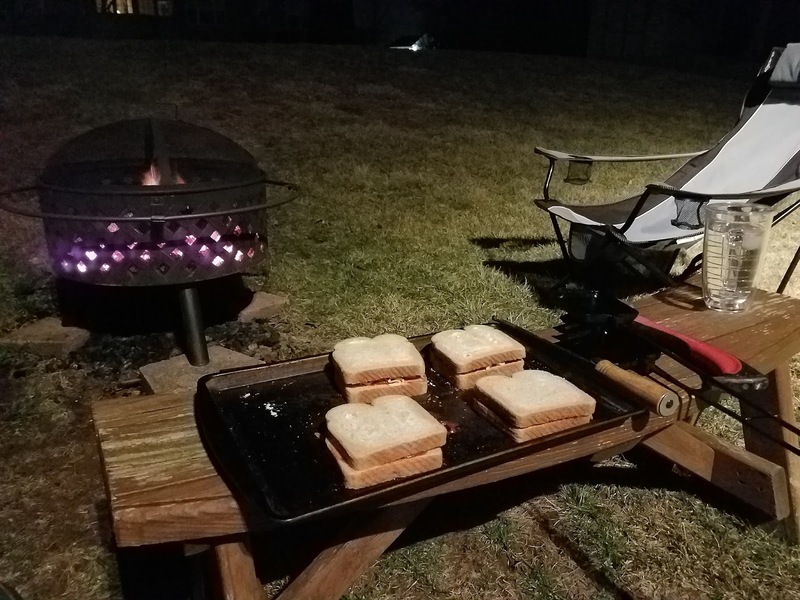 It's my passion...but, especially during the late winter months, not always an option. 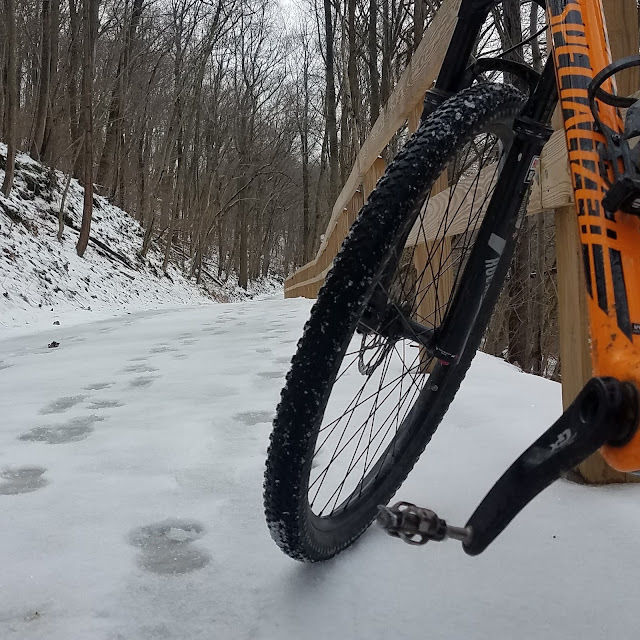 The days are too short and, most likely, the local county parks are closed to mountain bike riding because of the conditions. Due to the limited daylight hours, and the distance needed to travel, the local state parks are still out of the question for afternoon mountain bike rides. Normally, if mountain biking is off of the table, I'll default to my road bike. Unfortunately, during this time of year, snow and ice and winter muck tend to creep onto the Pennsylvania roads. Along with the rock salt and gravel spread across the asphalt by PennDOT, road cycling, in my neck of the woods, becomes sketchy (at best) during the winter months. Ten years ago, during this time of year, I would have hung up my bike and just went jogging. Nothing against running, but it's not my thing anymore (especially after two back surgeries). I never loved it anyway. It was just an "option." A few years ago, I purchased a trainer so that I could "spin" in the garage. Again...no offense to those who like to do spinning classes and such...but I just can't seem to find the same motivation and I'm not provided with that dose of Vitamin N that I so desperately crave. Recently, however, I've begun to explore (and be open to) other options that seem so simple, but have have, up until now eluded me. The gravel covered roads may be too much for my road bike...but not my mountain bike. 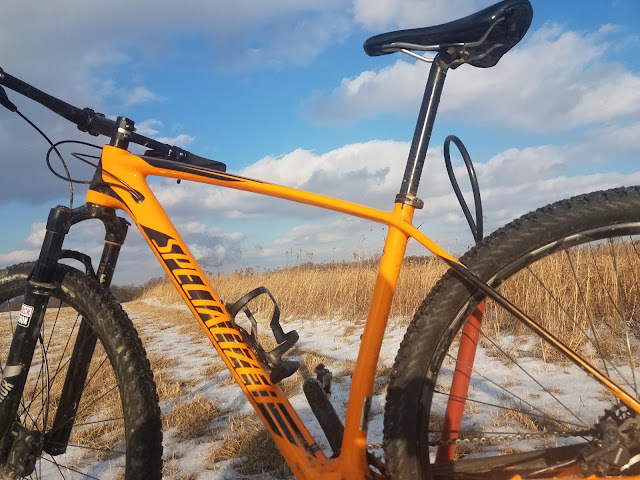 The nubby mountain bike tires that I normally wouldn't think of road riding with proved to be just what was needed for the winter road conditions. Just last week, Mark showed me options that I never even knew existed. 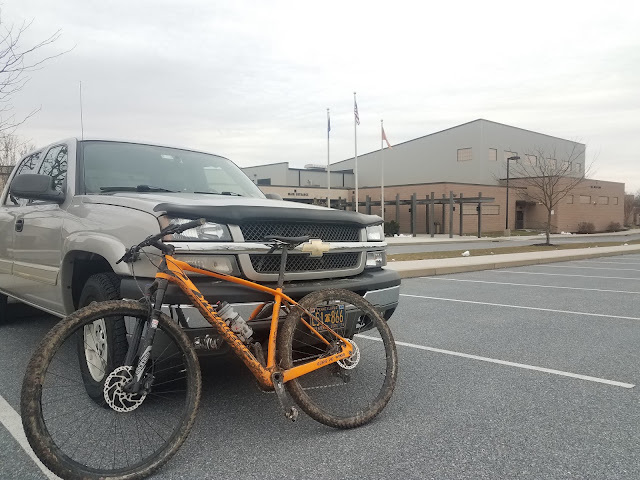 He told me to bring my mountain bike to school and meet him at the football field press box at 3PM. I figured we were heading down along the railroad tracks that separate the towns of Manchester and Mount Wolf. At first, I was correct...but then Mark does what he does best...the unexpected. 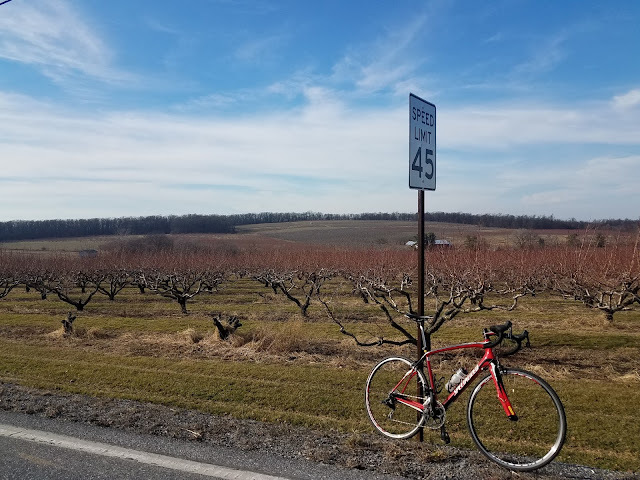 We turned up a lane (which I believed was a dead end) and climbed to the top of the wooded ridge just east of Manchester, PA. 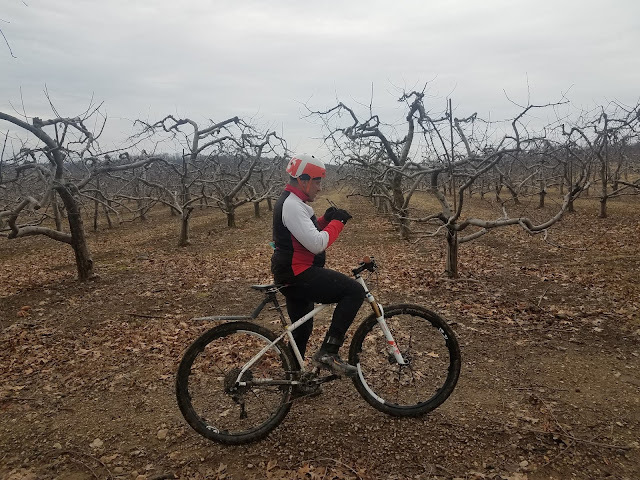 Using established paths, some single track, a few dirt lanes, and very little paved road, Mark and I rode nearly twelve mud filled miles through the orchards and fields on top of the ridge...eventually ending up in Rudy Park before turning around and heading back towards Manchester. 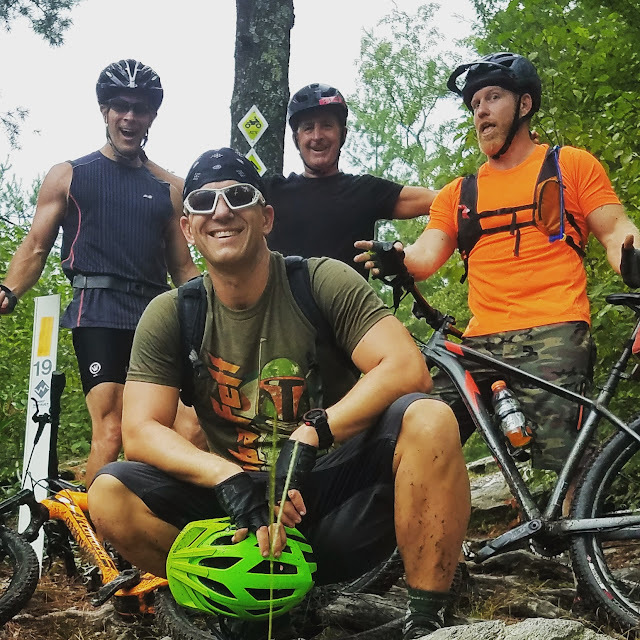 Off-road cycling at it's best! It wasn't the ride, or the option, that I expected...but a perfect option for the conditions at the time.